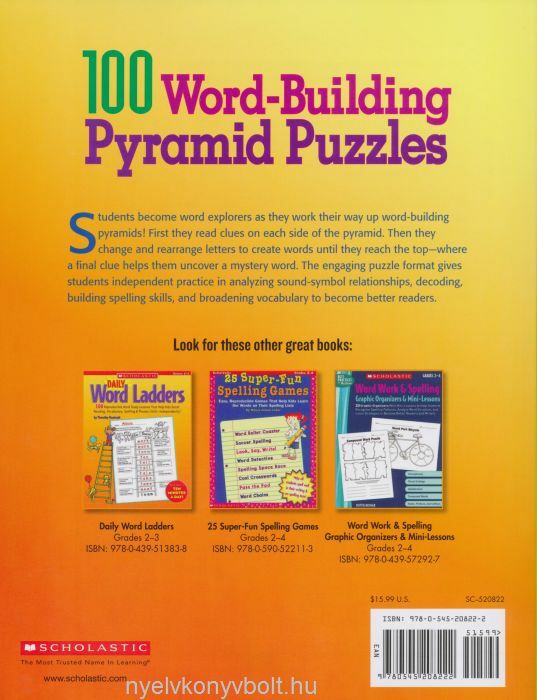 Students become word explorers as they work their way up word-building pyramids! Students read clues on each side of the pyramid and then change and rearrange letters to create words until they reach the top—where a final clue helps them uncover a mystery word. 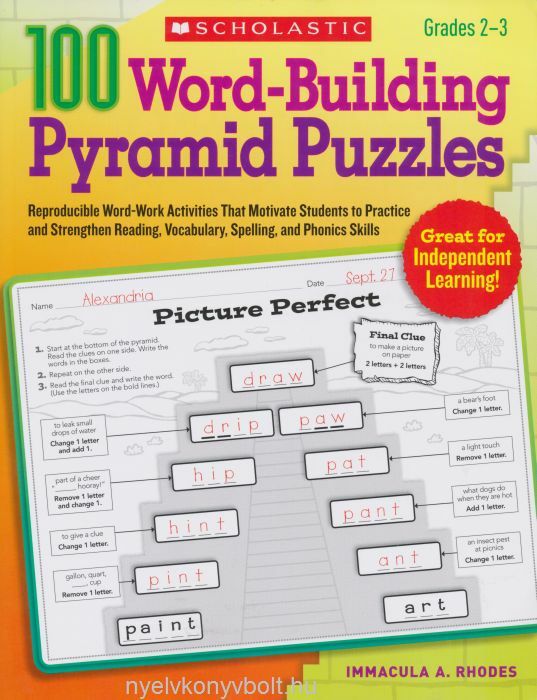 The engaging puzzle format gives students independent practice in analyzing sound-symbol relationships, decoding, building spelling skills, and broadening vocabulary to become better readers. For use with Grades 2–3.